Since Bella was born, I have become a bit of a toy expert. She’s on the spoiled side and gets a new toy at least once every two to three weeks. When searching for a new toy for Isabella, I have certain criteria that must be met – ease of use, appeal and price. However, the most important criteria is how educational the toy is. I enjoy seeing my daughter’s eyes light up while learning about various subjects. 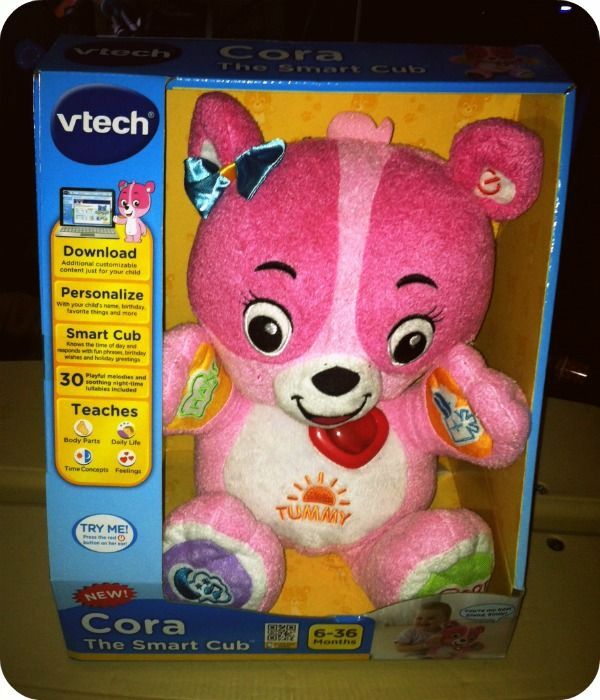 We recently got the opportunity to review Vtech‘s Cora the Smart Cub Plush Toy, and let me tell you – this toy surpassed all my criteria. This toy is recommend for ages 6 months to 3 years. 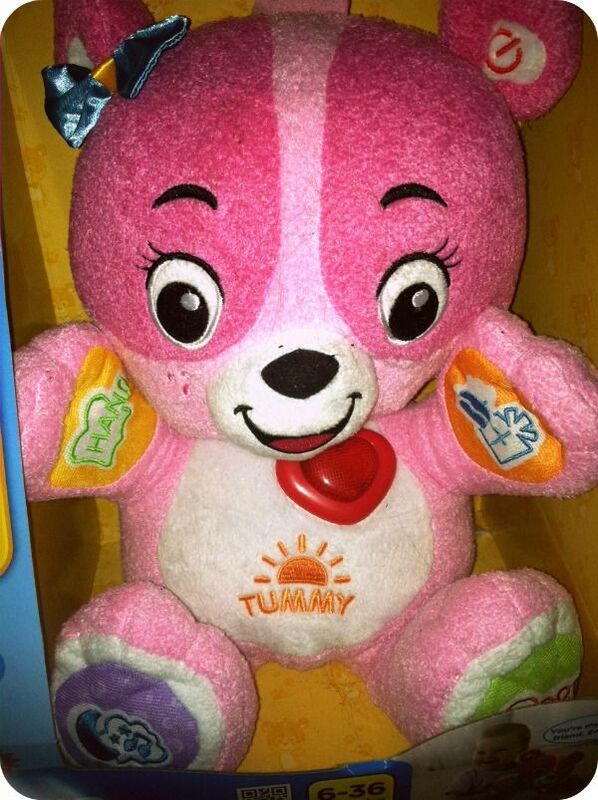 Isabella is 3 1/2 years old and still adores this absolutely adorable plush toy. Cora is inviting to little girls due to her pink hue fur. All of her paws function to help your child learn various skills including time concepts, feelings, body parts, as well as daily life. Isabella already knows the majority of her body parts, but this toy helps reenforce that important topic. Additionally, you’re able to personalize your child’s experience with Cora the Smart Cub by downloading additional content. Personalize with your child’s name, birthday, favorite things and more. Isabella loved the various melodies that Cora comes with – 30 different ones to be exact. Some are even lullabies that help her drift to sleep. You can purchase Cora the Smart Cub for just $19.99 through Amazon. 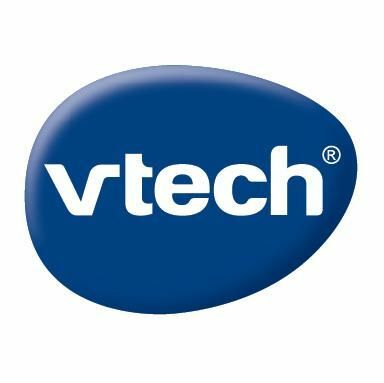 Stay connected with Vtech via Facebook and Twitter. I think my kids would love the innotab 3! I love the rolling suitcase for my toddler! I like the Count & Colors Bouncing Frog. My little girl is very tired of boy toys and could use a cute girl toy all to herself! We love the Catch Me Kitty! My kiddos would like the InnoTab as well! They look at it all the time when we are at Toys-R-Us! I really like the Spin & Learn Color Flashlight. I want for myself, my daughter has enough toys lol. Go! Go! Smart Wheels Train Station Playset! The KidiBeats Drum Set looks like a fun Christmas gift for my niece. The Inno Tab look very nice! I like the V- Reader. I think my nephew would like that. I also like pink Vtech learning laptop. The Switch & Go Dinos! I really like the V tech reader. The Move and Zoom Racer is so cute! I like the switch n go Dino’s as well. Thanks! Counting Fun Elephant would keep both my kids entertained! I like the Lil’ Smart Top – Pink. I like the play princess iphone and the pink camera. I also like the kidizoom camera. I really like the sit to stand learning walker. The new InnoTab 3 & the Switch & Go Dinos! I like the Go! Go! Smart Wheels Train Station Playset! The rolling suitcase – my daughter loves wheelie toys. The pink web tote and go laptop for my daughter! Design & Drill Activity Center. the infinate alphabet cube set! we have four indoor cats…..we love and spoil them, so i know the catch me kitty would be our fave, thanks! Receive Support on Bedwetting with GoodNites Mission Control!